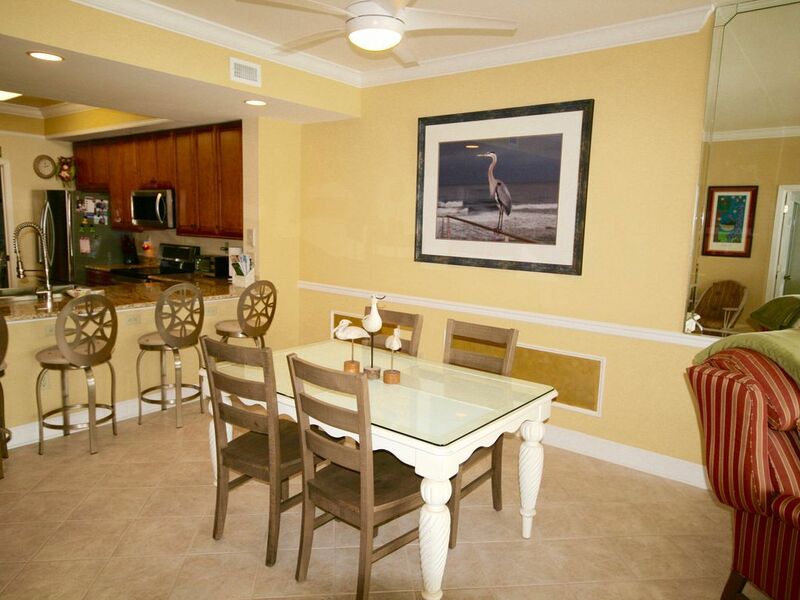 Enjoy beach front amenities and the comforts of home in this beautiful condo with upgraded bathrooms and ceramic tile throughout. 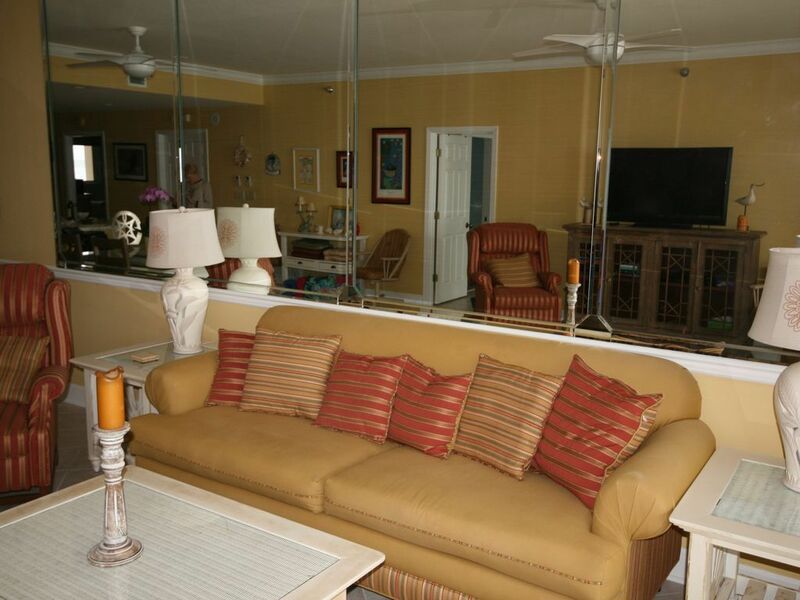 30 foot wide private balcony looks directly onto the beach and Gulf of Mexico. 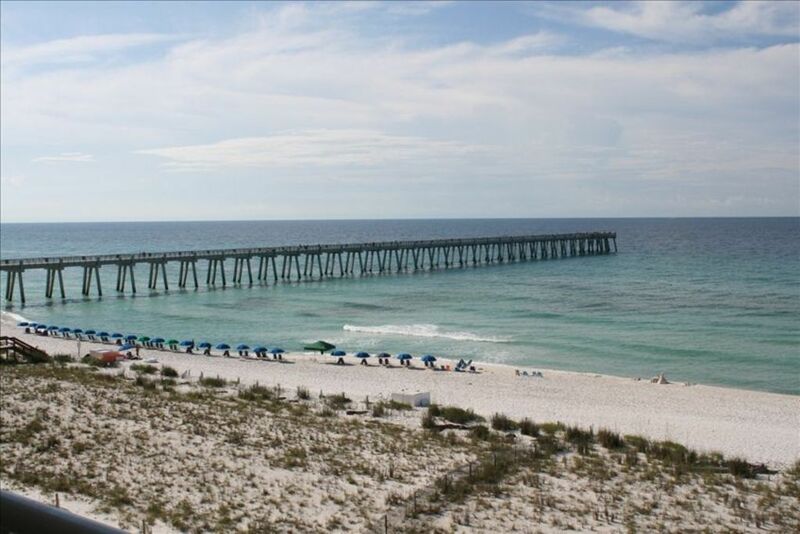 The Regency is near Florida's longest fishing pier. Master suite has a king pillow-top mattress and luxury linens that feel so good to sleep on and 32 inch flat screen tv. 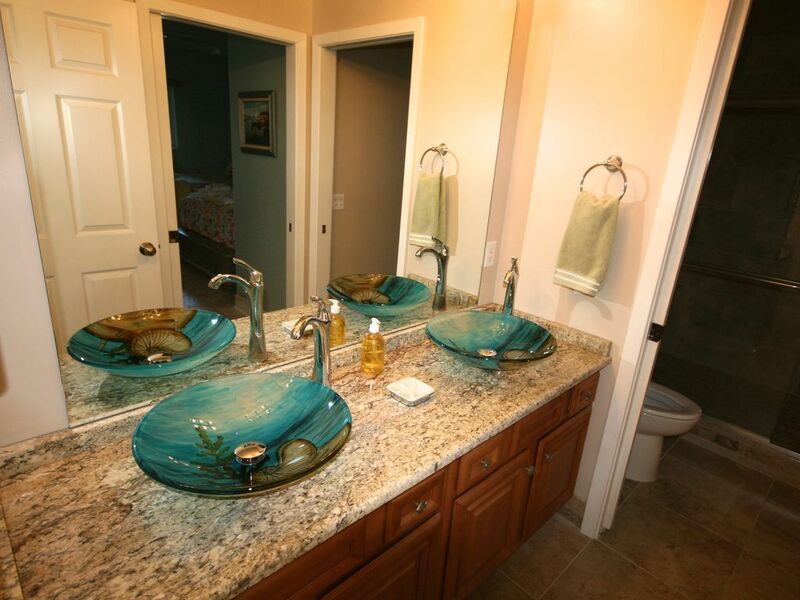 Master bathroom offers double sinks, whirlpool tub and large separate shower. 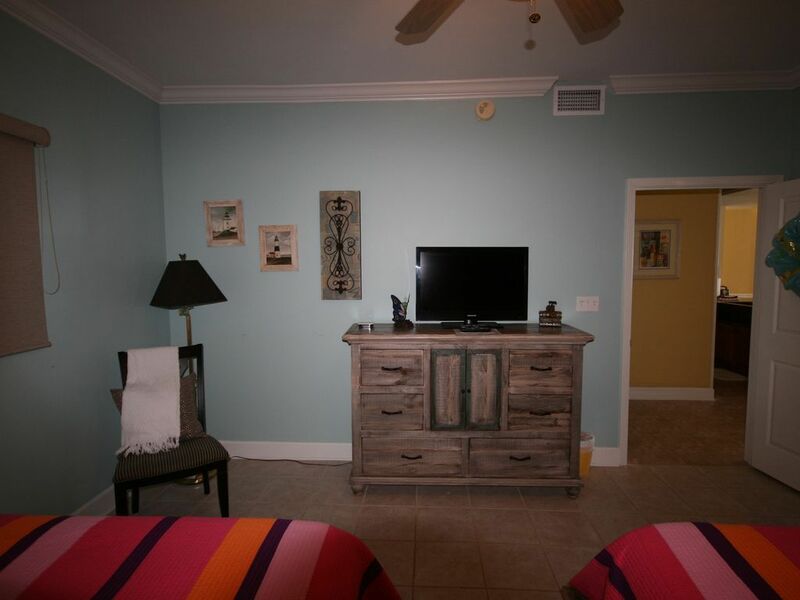 Second bedroom is spacious with 2 comfortable queen size beds, luxury linens that feel so good to sleep on and 37 inch flat screen tv. Great room has comfortable well-made furniture. There are two very comfortable recliner chairs and the dining table doubles as a great game table. 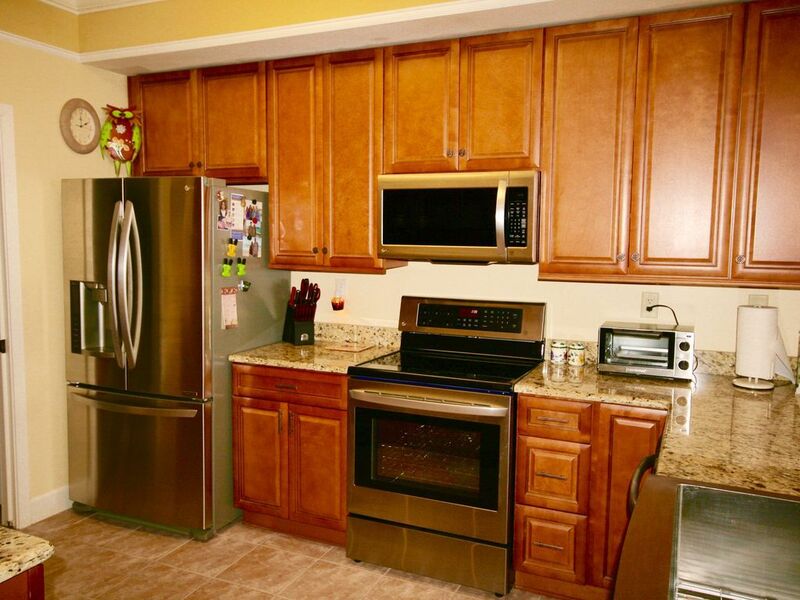 Kitchen has upgraded appliances, Whirlpool side-by side fridge with filtered water and ice. It is also equipped with small appliances (coffee maker, toaster oven, blender, mixer, crock pot, etc) for our guests' convenience. 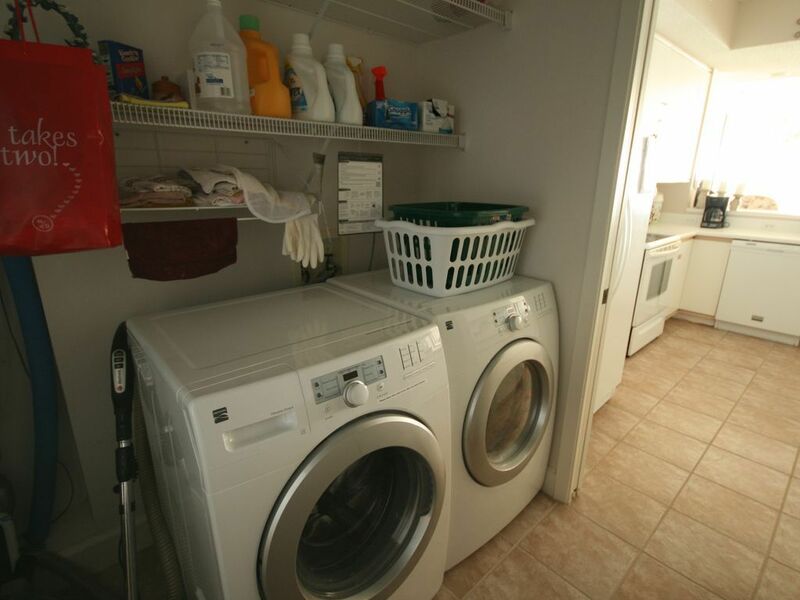 The spacious laundry room has a new Kenmore front load washer and dryer. Condo has three new flat screen tv's purchased in 2011 and one DVD player. Bring your laptop. 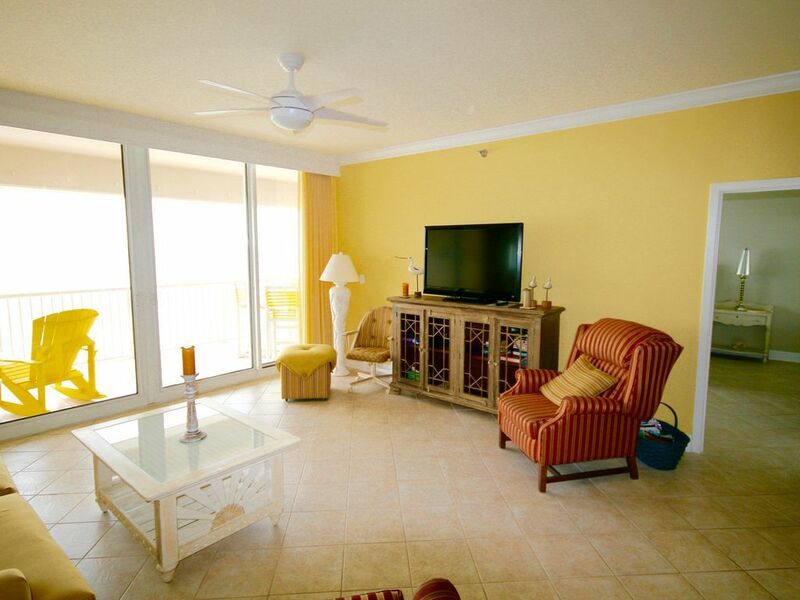 Enjoy wireless internet on the spacious balcony while watching the sunrise or sunset! The private balcony offers table, 2 chairs, 2 rocking chairs, high bistro table, 4 bar-height chairs, and a chaise lounge. The views are AWESOME from the great room, kitchen, and master. Be my guest. 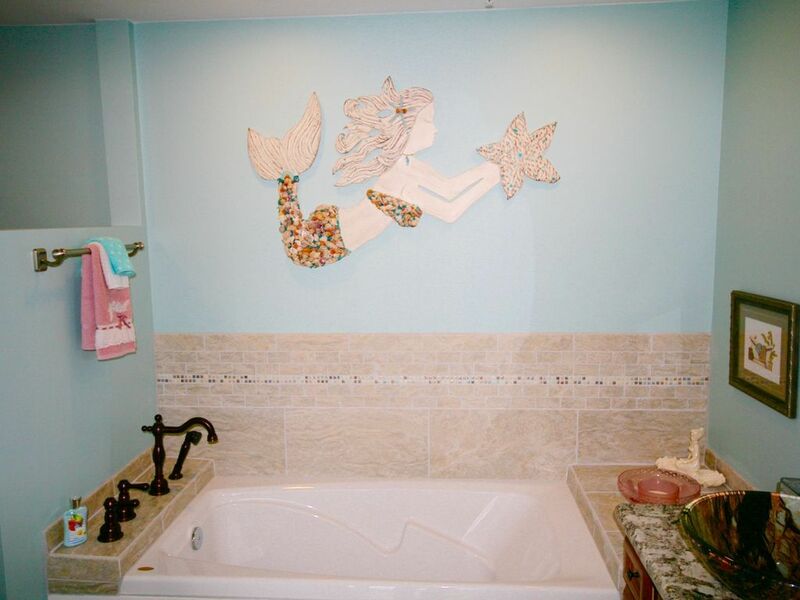 Many of my female guests like to sip wine and view the Gulf of Mexico from the new air jet tub in the master bathroom. You will feel pampered with the extras we treat you to. To thank you for being my guest, I have rented an umbrella and 2 chairs from the beach service for your enjoyment every day of your visit. It's your to enjoy free of charge. If you are looking for a larger 2 bedroom condo one mile west of the Regency, I own Belle Mer 102. It is 1,700 sq ft and is on the pool, hot tub and beach gate. 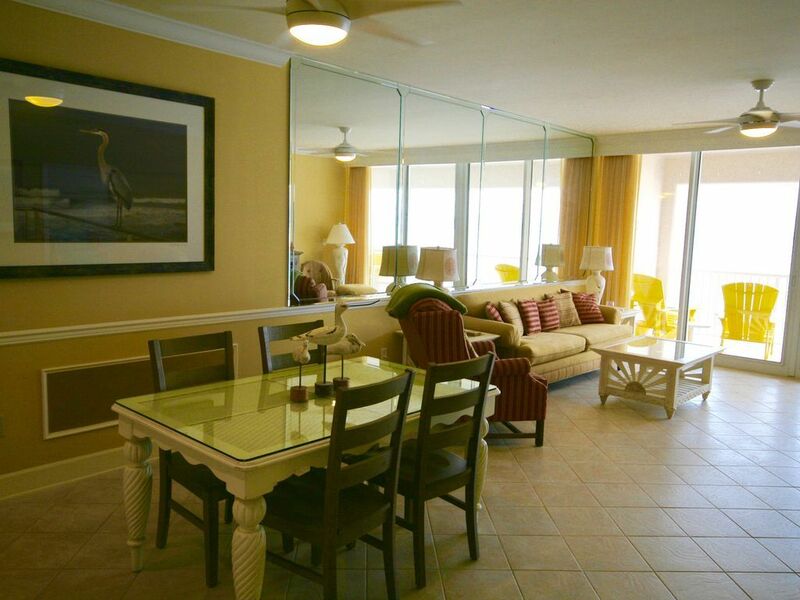 It is the only first floor unit that has a beautiful view of the Gulf of Mexico. Take a look at it. Our stay was wonderful. Condo is beautiful and well taken care of. Most beautiful beach we have seen. Loved everything about it. Would definitely stay again. Thank you. This is the nicest and cleanest condo we have ever stayed in. The pictures don't do it justice. We drove in from Ohio and arrived at 10 am on our check-in day. Texted Peggy to let her know and were actually able to get in much earlier than our check-in time. Peggy gives you specific directions as to parking, how to check-in at the office, etc. Everything was easy. She gives a list of her restaurant recommendations and we tried a different one each evening, we ate well! Grocery stores are right over the bridge, both Publix and Winn-Dixie are easy to get to. The beach is gorgeous and chairs and an umbrella were set up for us everyday. 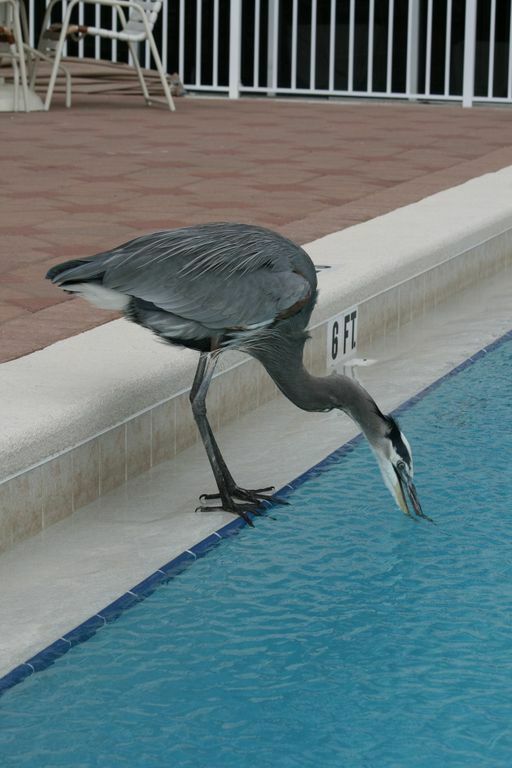 The pool area is nice, most days there was no one there. 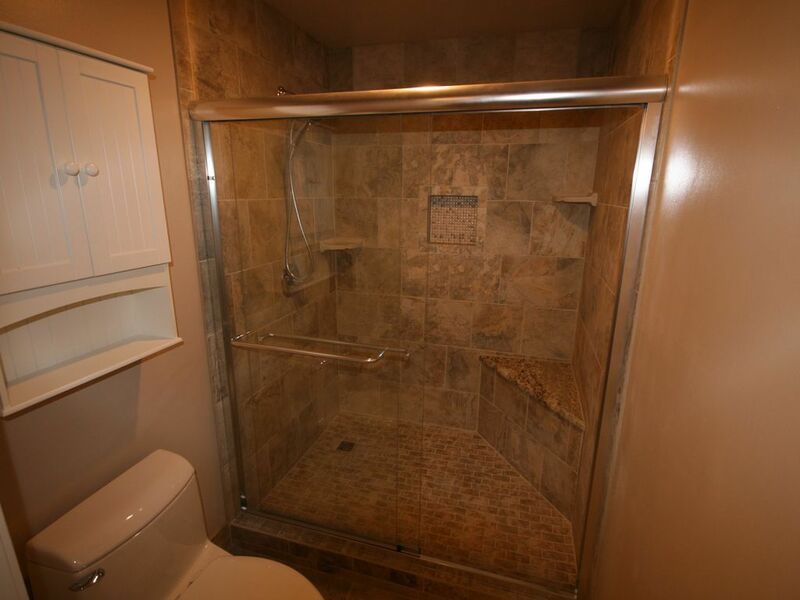 The kitchen and both bathrooms have been recently updated, and that Jacuzzi tub in the master is wonderful. I told my husband that can be his next remodeling project. I want one! I give Regency 504 and owners 5+ stars. Thank you Peggy for helping us have such a nice vacation. What a beautiful condo, it had everything you could possibly need to cook with, table setting for a small army, a beautiful kitchen, top of the line appliances and I could go own. The living area was very nice and decorated nicely and the bedrooms were large and the beds were very comfortable. The bathrooms were unreal with the walk in showers which were beautiful. The balcony was large with plenty of chairs and what a pleasure not carrying your own chairs down to the beach as it included chairs and umbrella. Now to the really amazing part ! Peggy is one of the nicest people I have ever dealt with and her husband Jon was very nice also. She called to make sure everything was satisfactory and checked later to see if we needed anything. I had a 30 minute phone conversation with the both of them and it was as if we had been friends for years. 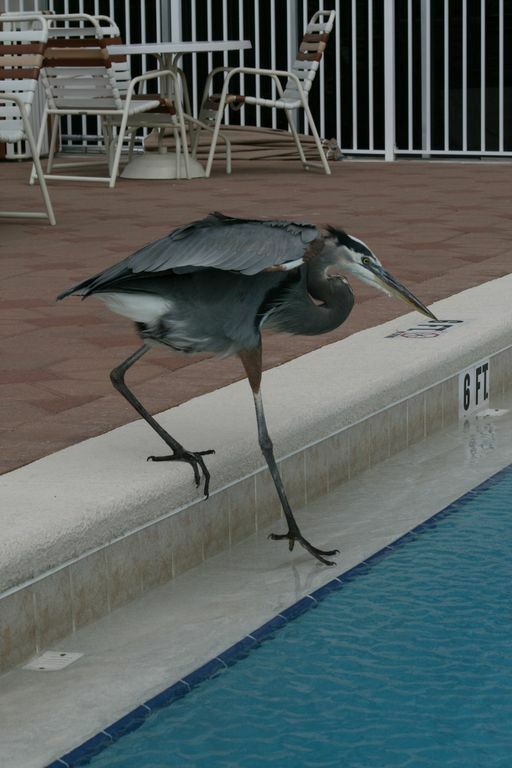 My wife and I have been doing this for 12 years now and have stayed at Panama Beach, Inlet Beach, Fort Walton Beach and this is our 3rd Year at the Regency at Navarre but the first time we have stayed at Peggy's and we have stayed at really nice condos but this place is wonderful and so are Peggy and Jon. This will be our place to stay from now own and thank you for letting us share your beautiful condo. Everything in Condo was first class. Peggy was great in answering emails and texts. Very attentive and genuine in wanting our stay to be a great experience . Hope to stay there agsin sometime. Peggy makes all her guests feel like family! She provides the BEST visit possible! 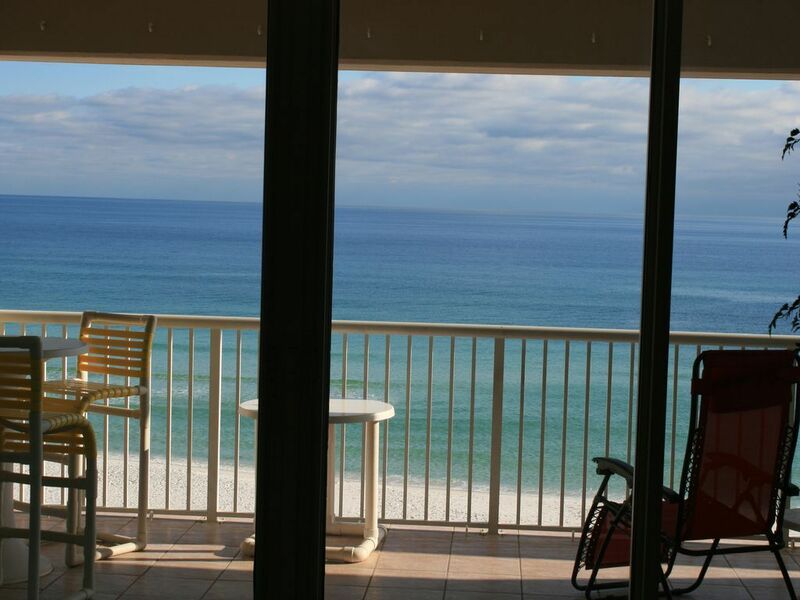 Upon entering her condo the ocean view takes your breath away.Folks, its a million dollar view! Sun rises and sun sets are gorgeous! 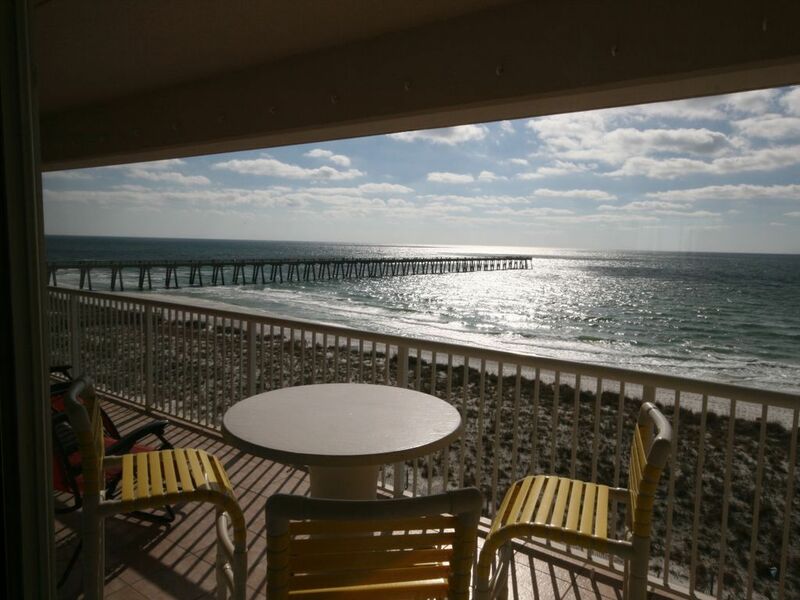 Sometimes you will enjoy seeing the dolphins and stingrays from the balcony! Put your luggage down and enjoy a welcome glass of wine. (That's right, you read it right....Peggy provides her guests with a glass of wine to start your relaxing vacation.) The balcony is massive with comfy relaxing chairs, kids size chairs, and a pub style table for dining outside or just to enjoy your morning cup of coffee. Speaking of coffee, Peggy has a Keurig 2.0 coffee machine which is awesome! Just bring your favorite flavor pods and your set! There is also a regular coffee machine. If you're a stickler for clean...this place is SQUEAKY clean! Peggy provides so many extras for her guests such as, paper towels, dish soap, hand soaps, toilet paper, shampoo, conditioner, body wash/lotion, hair dryer even a scented candle for the MAGICAL jetted tub in the master bath! The added luxury of 4 beach chairs with 2 umbrellas leaves you wanting for nothing! She also provides plenty of beach towels! The kitchen is well stocked to cook for a couple or a large family. Oh and the beds are super comfy! This is our 4th stay at Peggy's and we always look forward to our next stay. 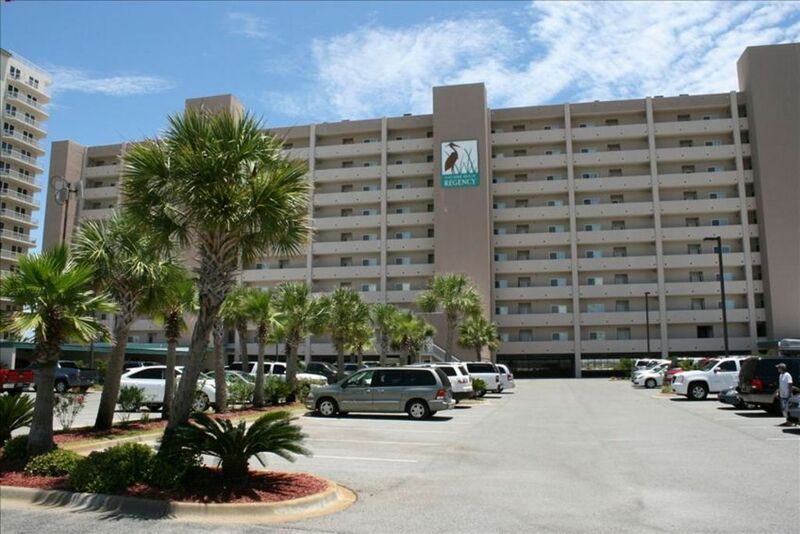 Haven't stayed anywhere else in Navarre, well because quite frankly, no one else can even come close to providing the perfect experience that Ms. Peggy does. She has spoiled us forever! You just can't go wrong with this condo, it's a 5 STAR EXPERIENCE!! I never write reviews, but we had such a wonderful stay in Navarre that I just had to share our experience! This was our first long family vacation with our 3 and 4 year-old and the condo was perfect! Peggy was such a pleasure to work with and truly thought of everything. 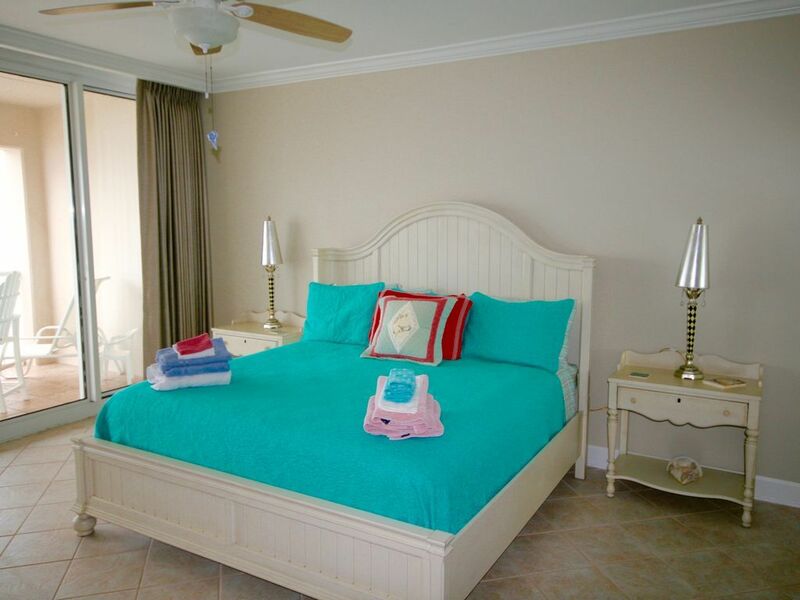 The condo was extremely clean, the beds comfortable and she even rented beach umbrella and chair service for our use. I appreciated that she provided beach towels and shampoo and conditioner too (sometimes it's the little things). We would spend the mornings enjoying the beautiful blue waters and white sand, and then finish off with some fun in the pool. We tried our hand fishing on the pier and headed into Destin one evening for a ride on the Buccaneer Pirate Cruise. I was worried the kids would be bored with a whole week on the beach, but they absolutely loved it and asked if next time we could stay 100 days - haha! We will definitely be back! This was our first time to visit Navarre. We absolutely loved it. Peggy was great. It was the easiest and earliest check in we have ever experienced. She was also a great help by sending a list of places to eat, shop, and hang out. The condo is exactly as advertised. 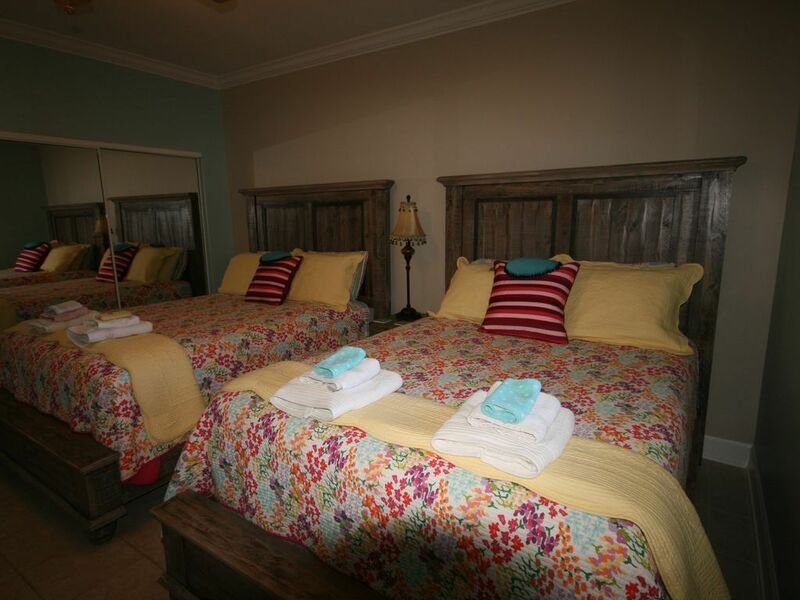 It was clean, comfortable, very pretty, and supplied with everything you need for your stay at the beach. We liked it so much, that we booked for next year before we left. Would definitely recommend Peggy's Regency 503. I don't know where to begin. Peggy's Regency condo is wonderful. 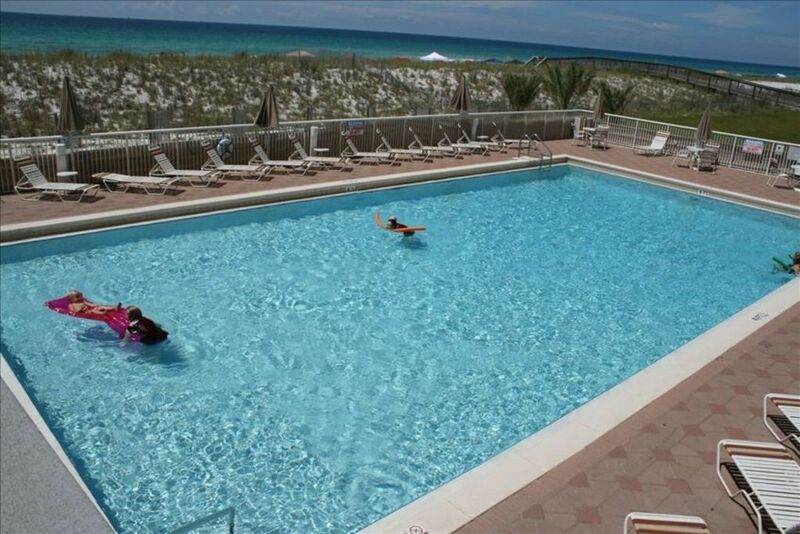 This was our first trip to Navarre Beach and I'm so glad we discovered this condo when we looked for a place to stay. 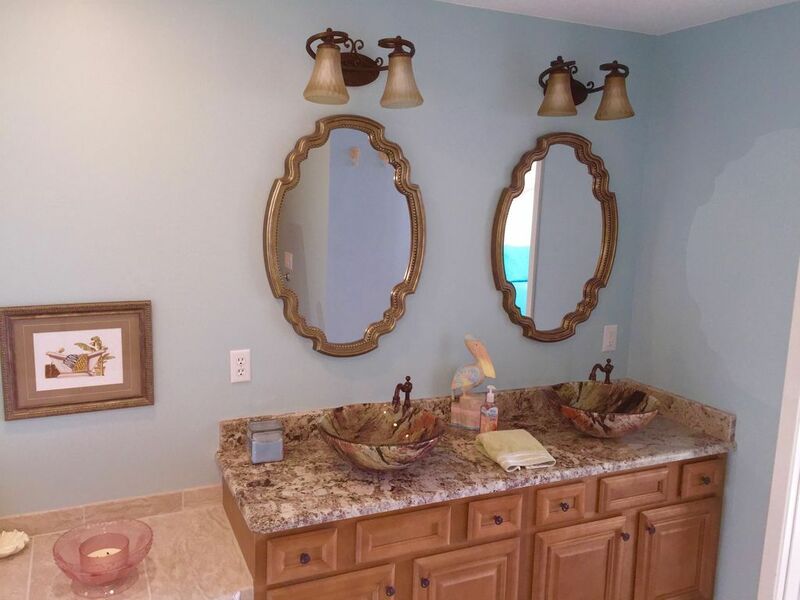 She recently remodeled her bathrooms and bedrooms and put new appliances in the kitchen. The beds were so comfortable and so was the living room furniture. There was plenty of seating in the living room for our family (6 of us) and the dinner table accommodated all 6 of us too. The kitchen is stocked with everything imaginable from utensils to plates, bowls, drinking cups, coffee cups, and small appliances which made it great for us since we cooked and ate in most nights. Peggy provides lots of beach towels, nice bath towels, beach toys, boogie boards, 2 small beach chairs, hand soaps, body wash, shampoo, dish soap, etc... the list goes on and on. She also provides 2 rental chairs & umbrella on the beach. The balcony is quite large with lots of outdoor furniture. Peggy communicated with us several times prior to our trip and gave us a lot of valuable information about grocery stores, restaurants, directions & mileage to destinations, etc. 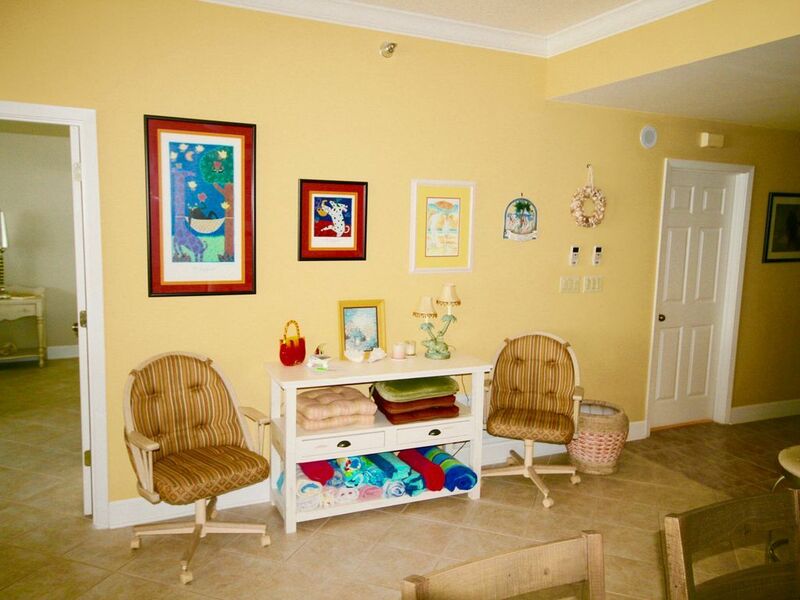 Peggy goes above & beyond in making her guests feel comfortable and welcome in her condo. 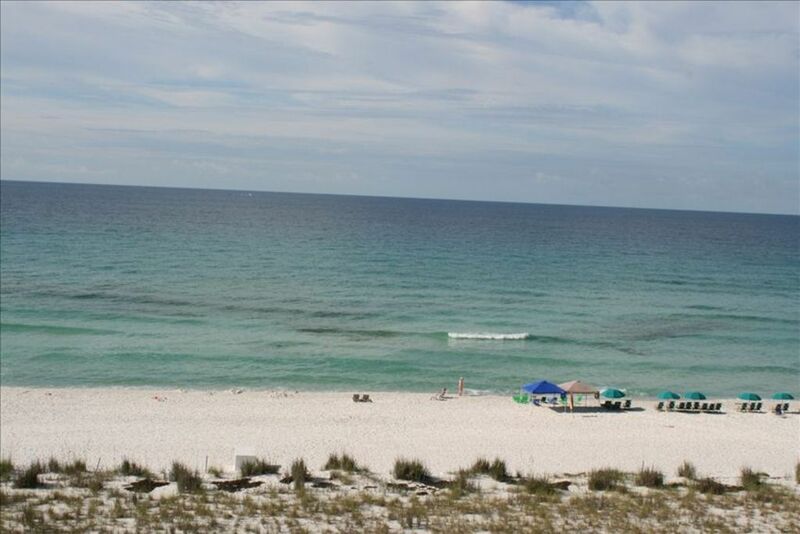 If we ever return to Navarre Beach we will certainly be looking to rent her condo again. Thank you Peggy for everything! You're a gem!! Once again, we can only say how wonderful our vacation was due to this outstanding condo. This is our second stay at the Regency (our third with Peggy, we stayed at the Belle Mar also once, highly recommended too!). 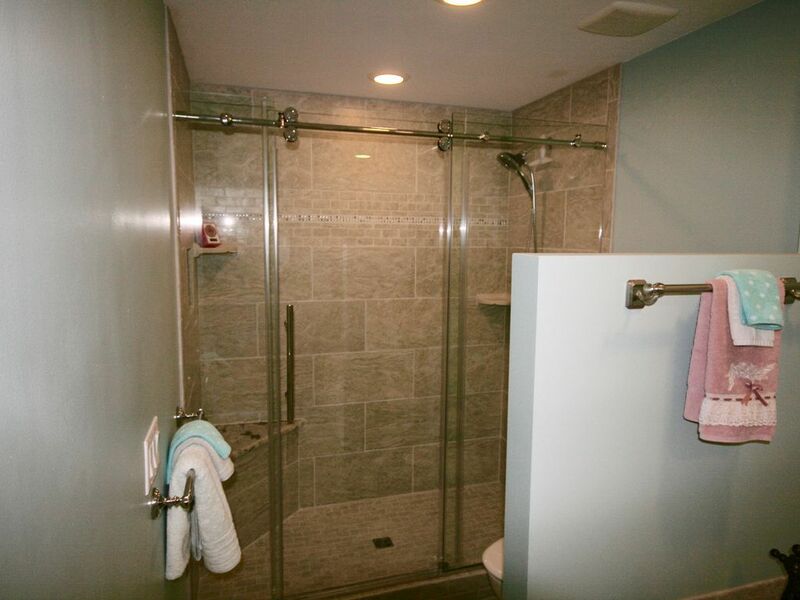 The master bath has been updated since our visit last year, and what a fantastic job. Everything is provided that you can need (even added a Keurig machine to my utter delight). 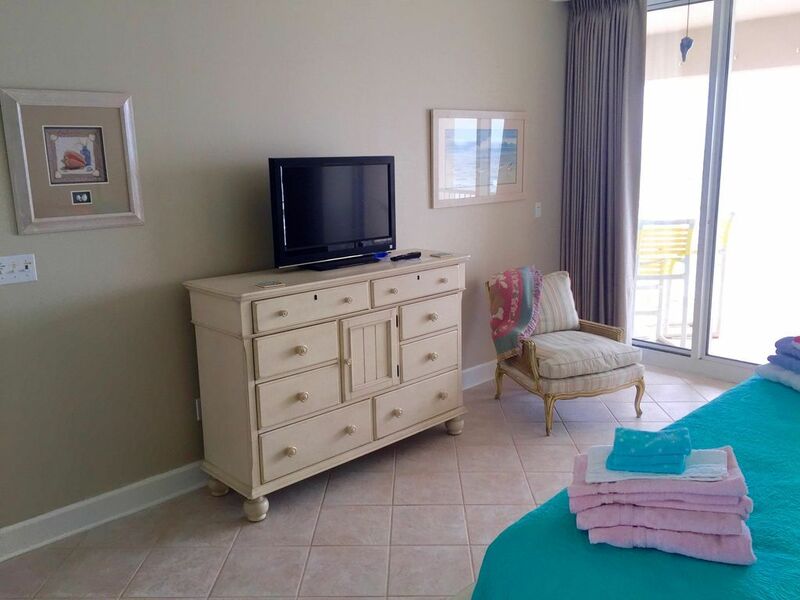 We love the view, the ease of access to everything, the WiFi, the view, the beach chairs and umbrella, the beach towels, the view, the cleanliness, the pool, and did I mention the view, lol. We love it here and this is definitely our vacation destination for years to come. Peggy is so accommodating and wants to make sure everyone is happy and comfortable. Peggy Kiefer 18502063837 Show Phone No.